While the industry seemed to see a spike in mergers and acquisitions activity in 2012 due to some tax implications, many are projecting that 2013 will see some healthy buying and selling, too. While there are many issues to address involving staffing, systems, etc., something that does not seem to get the attention it deserves involves the applicable errors and omissions (E&O) issues. This is somewhat surprising as without the proper structure and attention to detail, agencies could find themselves, whether they are the buyer or the seller, without the proper coverage. Both the buyer and seller must realize that not all E&O carriers handle this transaction the same, and the process is not as straightforward as one might think. There are potentially some unique issues and factors that could determine the exact nature of the transaction. Is it an acquisition or is it actually a merger? Whether you are the buyer or the seller, to ensure that the coverage has been structured properly, a great starting point is to contact your E&O carrier and advise them of your intentions. Let them help guide you through the process and the issues. The carrier will often require the completion of some paperwork to help determine the nature of the transaction. As most E&O policies contain set timeframes for the handling of these issues, it is important that agencies are proactive in addressing this matter. Waiting to advise the carrier could jeopardize your ability to secure the necessary coverage. The E&O carrier will probably ask you some key questions and advise you of any paperwork that must be completed. For the buyer, the traditional approach is to have your E&O policy endorsed to provide coverage for the “new” agency. The coverage, referred to by many E&O carriers as a purchased entity endorsement, will provide protection against errors made by the “new” agency beginning with the effective date of the acquisition. Essentially, it will be up to the seller to secure coverage for errors made by the “new” agency prior to the date of the sale. Moreover, it is not a “slam dunk” that the E&O carrier will provide purchased entity coverage automatically. This is one of the many reasons it is important to bring your E&O carrier into the discussion early. If you are a retail agency acquiring a wholesaler agency, your E&O carrier may be unwilling to provide the necessary coverage. Much of this depends on the underwriting appetite and experience regarding the type of agency you are looking to acquire. 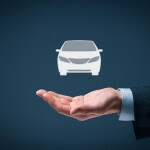 Is there a premium charge for purchased entity coverage? Maybe. This will depend on how that E&O carrier has filed to handle this transaction, which could vary among carriers on their rating basis (premium, staff, revenue, etc.). Some E&O carriers look to address this “additional exposure” at the next renewal. This is another example demonstrating that not all E&O carriers handle this issue the same. Since the issue of E&O could become an afterthought, some of the more preeminent E&O carriers in the market provide 90 days of automatic coverage when you buy an agency. This is a significant issue and benefit. For those that have decided that “enough is enough” and it is time to sell your agency, contact your E&O carrier and advise them of your plans. The traditional approach involves the seller purchasing an optional extended reporting period endorsement (also known as “tail”). Most policies will contain an automatic 60-day grant of coverage, but this is not enough. Due to the nature of claims-made coverage, the optional “tail” will provide an additional period of time after the expiration of the policy for which valid claims will continue to be accepted, provided the wrongful act occurred before the end of the policy period. Even though all claims-made policies contain this provision, there is, once again, no consistency among carriers as to the available options. Some policies only allow an additional one-year “tail.” Other policies may only allow options up to three years. Still others (typically your admitted markets) provide up to 10 years, or even an unlimited period. The charge for this additional coverage comes with a hefty premium charge so plan for this expense; 200 percent of the last full annual premium for a 10-year tail is common. This is not an issue you have unlimited time to think about. Once again, this speaks to the benefit of contacting your E&O carrier to find out your options and when the decision needs to be made. For example, an agency owner may look to buy a three-year tail and say “when that expires, I will look to buy another three years.” This is not an option. You have one opportunity to make your decision, so give it serious consideration. It is not a cost that can be financed, so plan ahead. Buying the longest option available is highly recommended. Claims during this optional “tail” coverage do occur, so this could spell disaster without the proper coverage. Contrary to what some may want to believe, E&O policies are not assignable and thus giving your E&O policy to the buyer and requesting that they keep making the payments is not the solution. If a problem developed, this approach could very well leave both the buyer and seller with no coverage whatsoever. What if the buyer’s E&O policy is not as broad and thus does not cover all of the activities the seller had covered under their policy? If the deductible is higher or of a different type (loss-only as opposed to a combined loss and expense deductible), the seller could find themselves paying more if an E&O problem develops based on an error prior to the date of the sale. What is the E&O for the buyer that is non-renewed due to loss history and when the buyer cannot find coverage or finds inferior coverage? The seller is now at the mercy of this decision. Looking to buy or sell? Include your E&O carrier early on in the discussion. This is the key to ensuring you make the right decisions. Pearsall, CPCU, ARM, is president of Pearsall Associates Inc., a risk management consulting firm specializing helping agents protect themselves. He is also a special consultant to the Utica National Agents E&O program. Phone: 315-768- 1534. E-mail: curtis@pearsallassociates.com. Blog: www.agentseotips.com.